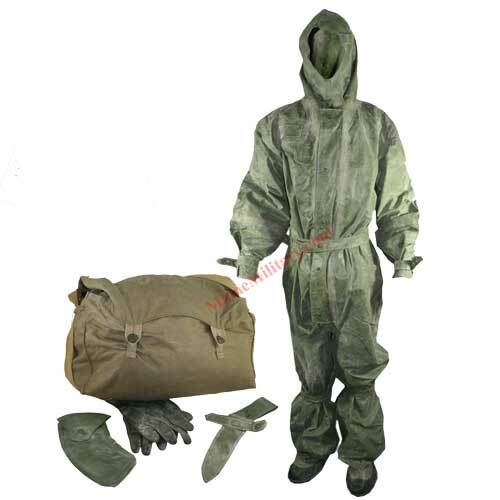 This Czech Chem Suit in good surplus condition. Both suit and bag are OD in color. The Canvas bag may have small rips, tears, and stains, but the quality of these suits has not been compromised. Due to the weight of this item there is an additional $6 shipping charge per unit.